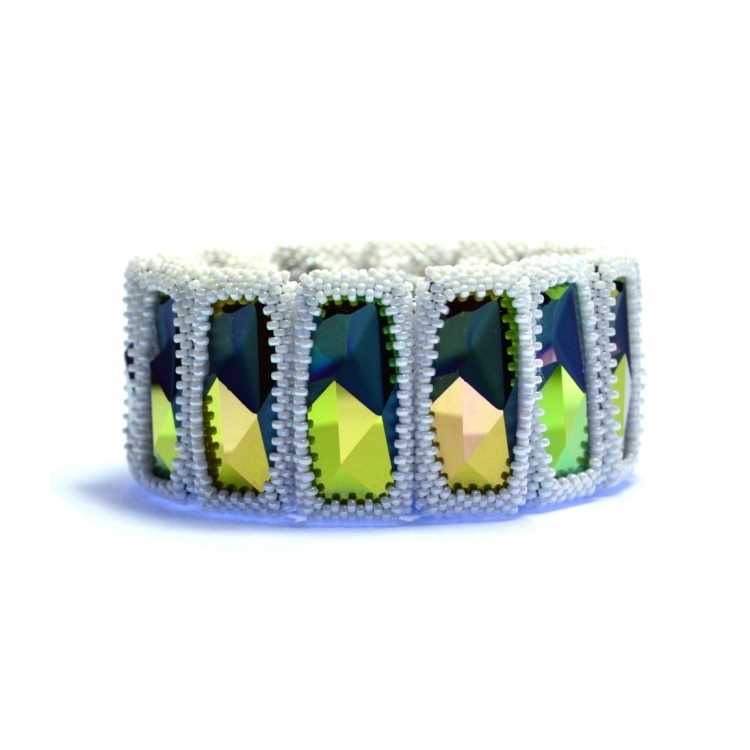 This striking bracelet makes use of some unusual crystals (designed by Jean Paul Gaultier for Swarovski). As soon as I was first shown the crystals I knew exactly what I wanted to do and then it was just a matter of finding the time to do it. I wanted to design a bezel that held the crystals securely but also allowed them to be the star of the show and shine out with no distractions. 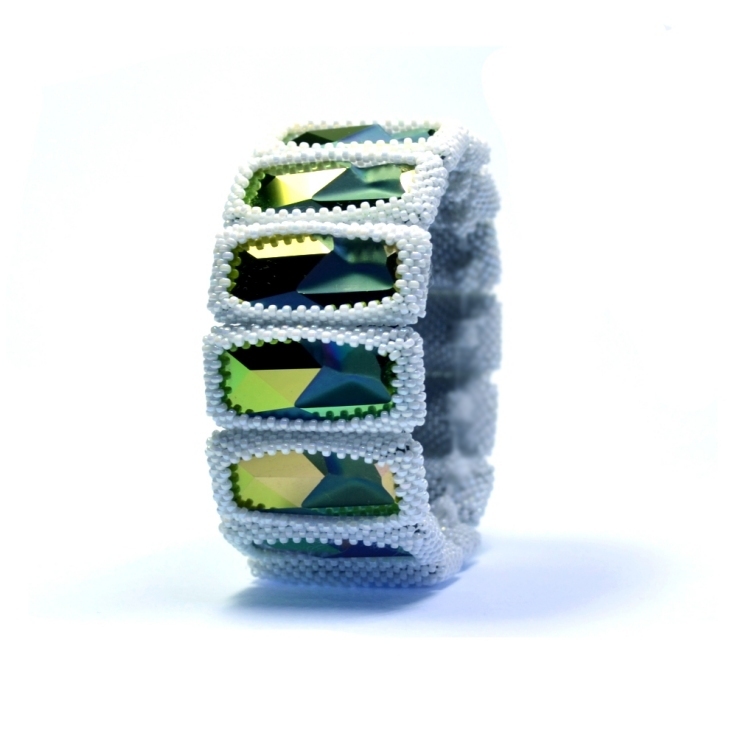 The bezel also needed to have no visible (when worn) means of connection and allow the bracelet to appear continuous. There is a limited kit available to make these bracelets however the instructions will not be for sale by themselves.